Can TOX become the Skype Alternative we all have been waiting for? The recent NSA debacle was nothing short of a shocker to many. Government sponsored monitoring of its own citizens has been more widespread than most people thought. And yet, as users, we can't do much about it. Skype, now owned by Microsoft, is a widely-used, and proprietary, video chat and IM client used by people across platforms. 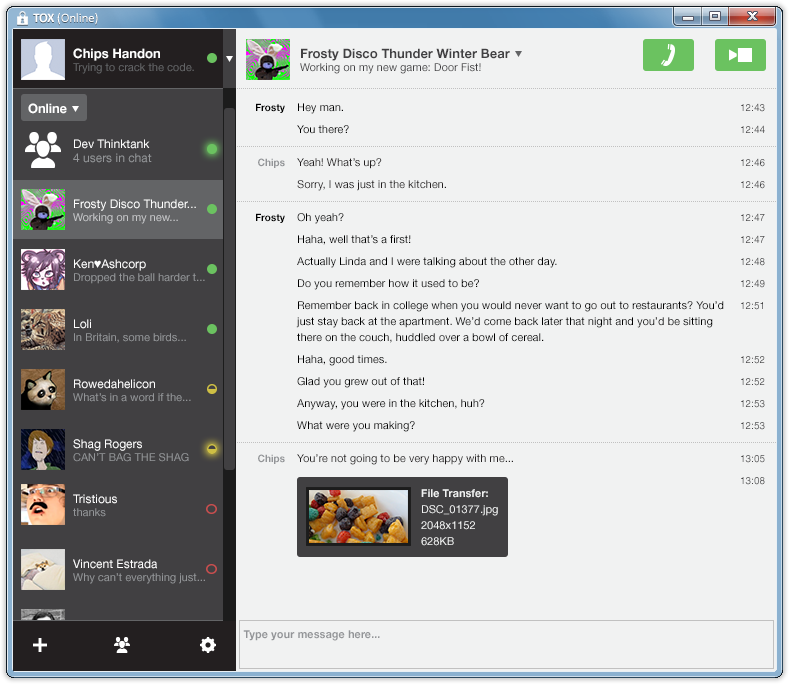 Tox is a free and open source alternative to popular all-in-one communication platforms like Skype. If Tox becomes a reality, a good part of our daily life on the internet can really become private all over again. Tox lets you IM, video call and voice chat with your dear and near ones without the fear of anyone listening in, plain and simple. Goal of the project is to create a configuration-free and extremely easy-to-use P2P Skype replacement. With a fully finished Tox application, you'll be able to make instant encrypted messaging and free Tox to Tox calls (voice and video) in a free and secure fashion. The project team promises that Tox will be ad-free and completely open-source from the day one. Which means, users will be able freely use and modify Tox according to their needs. Tox is still under construction and when released, it will be available for all platforms including Windows and Mac apart from Linux. If you eager to try it anyway, build instructions for Windows and Linux can be found here. And when the project is ready, make sure you visit the official Tox website and download the package specific to your platform.